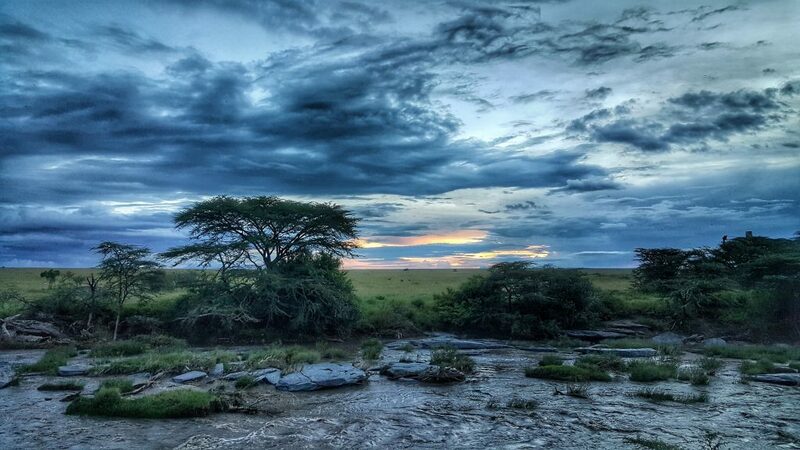 The Maasai Mara Citizen Observatory in Kenya aims to improve the livelihoods of the citizens of the Mara Region and its environment. The vision and mission of the CO are stated below. Vision: We envisage a society in which all stakeholders are working together to ensure the balance between sustainable livelihoods and biodiversity management in the Mara ecosystem. 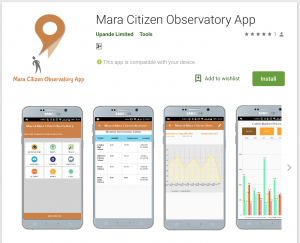 Mission: The citizen observatory will constitute a multi-stakeholder platform for generating and sharing of data, information and knowledge to improve policy making and implementation for sustainable livelihoods and biodiversity management in the Mara ecosystem. Upande Ltd. is the technical lead for the Kenyan Demo Case. 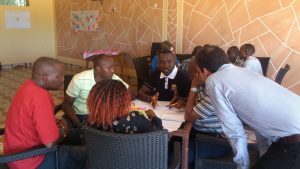 Upande has been actively involved in the project from the start: in planning, mobilising the stakeholders, co-designing the platform and conducting trainings in various workshops held so far. 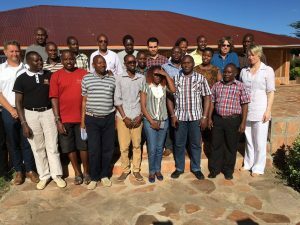 This included three stakeholder workshops, two soft launches of the products and one training of local community members on the use of the tools. 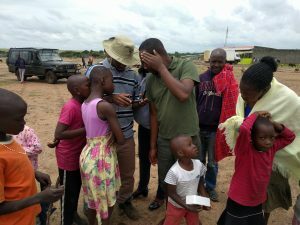 Upande has conducted two soft launches for the mobile app and the website to sensitize the local community and stakeholders to the tools available for the observation of biodiversity and for improving their livelihoods. So far, the observatory has an Android app and a website. The app and the website pull data from already existing infrastructure, especially from those that were developed as part of the previous project that focused on the area; the MaMaSe project. 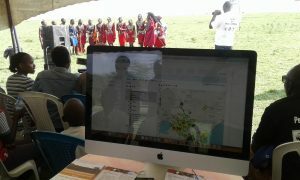 Other data integrated into the platform are from MARIS and Virtual Kenya. Based on input and feedback from the local stakeholders, Upande has developed the mobile application and website. The data that are pulled and displayed in the observatory app and website include details on available forage for livestock and wildlife in different conservancies at different periods of time. This is a very useful indicator for how green the conservancies are. This will go a long way in reducing human wildlife conflict that results from, among other things, limited amount of forage. 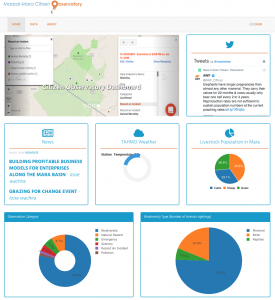 In addition to this, TAHMO weather data have also been integrated on the website, meaning that people can now access weather data from stations in the Mara area through the website and app. We have also integrated livestock prices and sensor data from the MaMaSe project into the observatory tools. It should however be noted that there are still some edges that need to be smoothened. Although the Android app can be used to collect data, it is not yet possible to access the information collected through the app. This implies there is still a need to add some features to the mobile app to make it possible for people to get controlled access of collected data. These data will be integrated into the website with care to ensure the integrity of the data. In addition to this, there might be a need to develop an app for plotting man-made structures such as fences. There is also a need to add more livelihood-related data, from the recently updated Virtual Kenya. The carrying capacity and market information pages require some additional functionalities to make them more interactive. Once these bits are worked out, the tools generated will be thoroughly tested to ensure they perform as expected. It is already clear that the tools produced through this initiative will positively transform the lives of many in the Mara region and the environment.